From Chad Lowcock’s Race City Sauce Works comes this Ghost Chile Jamaican Jerk Sauce that is full of flavor and lots of heat. 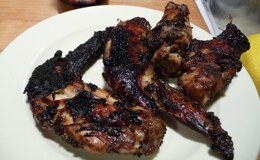 We marinated our wings in 1/4 cup of the sauce the night before, then grilled them and sauced them right on the grill. The result was a spectacular flavor in a jerk wing, with a big ghost pepper bite. 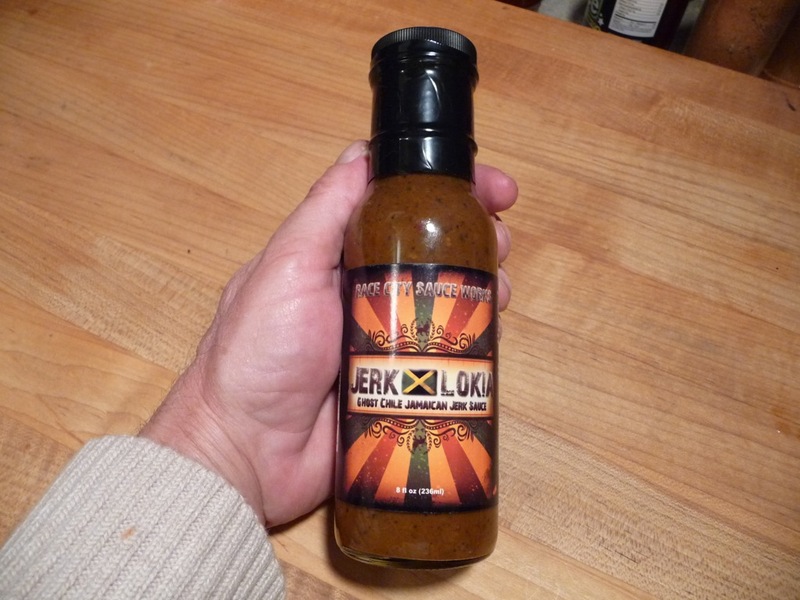 A bit more searing heat than I’m used to in a jerk sauce, and quite a bit more than Marilyn prefers. But, the heat is short lived and the flavor is so big that it’s all worth it.